I've switched to using Safari on my work machine for lunch hour stuff. Its location bar isn't as smart as Chrome's, so I end up getting the Google headlines on international soccer a lot, since "fa" is enough for Chrome but not Safari to jump to "fa"cebook. There are other problems with Facebook, like how people put their own self-known private selves up against images of everyone else at their public best, and there's crap like vaguebooking, and privacy concerns with a machine that knows so much about mutual friends and even has face recognition. Or the idea that maybe the barrier to staying in touch should be high, like who wants to be in touch with those bozos from high school anyway, or have your elder folks know if you've been up to mischief, or see idiotic posts from that cousin whose politics you can't stand? But hearing and being heard is a very human desire, as is meaningfully staying in contact and having a support community of people you know, and FB does those things better than anything else I can think of. There's a charming little Flood Fill going in there, along with a nifty playable little game. At the Boston Future of Web Apps conference I saw a reference to the Vanilla.js website: obviously it's a bit tongue-in-cheek but still, it's in line with some notions that I've talked about on this blog, that there's a tendency to look to a big framework to "build the app for us", and sometimes engineers buy a giant expensive house when really they just needed the awesome bathroom fixtures. The problem is especially pointed on mobile - that link mostly follows the initial load time various frameworks have in their ToDoMVC rendition. 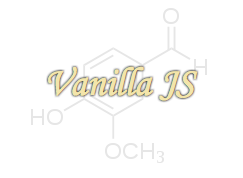 Vanilla JS comes out way ahead, of course. For OSX, "OmniDiskSweeper" is a pretty great way of seeing disk usage, what folders are using up space. It doesn't have graphs, but it uses color and sorting to keep things sane, and is smart enough to switch from GB to MB to kB. DISCLAIMER: I sometimes use this blog as a general repository for my future self to refer to, and one indication code might be worth sticking here is when I go to look for it. But it's not always best-practice or production-ready stuff. Chrome has been my primary browser for years, and I still feel a tad more familiar with its developer tools. Lately on my work machine, it's gotten sloooooow-- I thought the lagging in typing and general responsiveness was the whole system, but mercifully no - just chrome. The timing corresponds with upgrading my OSX to El Capitan, and a few other changes related to my employer being purchased by AOL. (I tried resetting it back to manufacturer settings, next step is to uninstall and reinstall I guess.) Of course, I'm kind of nervous there's could be some kind of malware involved, but we'll see. Anyway, I've been using Safari - I've been told its a lot more CPU-efficient than Chrome these days, and in practice it's not so bad. My biggest gripe is this: most of they key mappings are smilier between Chrome and Safari but Chrome has a brilliant shift-cmd-t to retrieve an inadvertently closed tab. Bizarrely, Safari tucks similar functionality under the "History" menu, and deals with only on a window level, not tabs- very retrograde of them, IMO. At work we're shifting gears out from Ember and back to Angular. I'd have to admit it feels like a step backwards: to me, Angular is a bit of a "worst of both worlds", with the complexity and opacity of a full framework (lots going on under the hood) but without the feeling of completeness of some other things like Ember. People who are enthusiastic about Angular like having "views" that are so powerful, and that use xhtml-like syntax, but in my heart of hearts I like keeping my program code as code, in something that's clearly the controller, and having a different syntax set for conditional and looping structure that stands out visually from the part of my html that represent DOM elements - and having those templates be extremely lightweight. But, Angular is massively popular, and picking up experience and fluency in it is going to be great for me. FOLLOWUP: Googling up about the UI-Router, I see the phrase "AngularJS is what HTML would have been, had it been designed for building web-apps", which I find a bit telling in its arrogance, but also indicative of what I like less about its style. I mean, HTML isn't designed for building web-apps, it does many things, and is agnostic about what you may be doing to get the information from the server to the client. I see parallels to what I wrote about Dietzler's Law: I prefer composable systems that reveal their plumbing. This allows a developer to take a reductionist approach to debugging, isolating components and challenging assumptions at the various levels. When the template is doing a lot of the heavy lifting, it's harder to see where the goofup might be happening. It's also tends to only be amenable to top-down, holistic understanding; a learner can't safely ignore something they don't know, and be confident in their understanding of the other parts: everything is tightly coupled. I suppose some of those arguments hold for Ember etc, but still: Angular shows its roots as a quick and dirty prototyper (I feel the default two-way scope coupling emphasizes that) in a way newer frameworks don't, while at the same time ratcheting up the syntaxes to learn, and the meta-syntaxes to master, in order to keep everything looking like HTML tags. Ironically, I kind of love Web Components, which to me do feel like the "what HTML would be if it was designed for building web-apps".